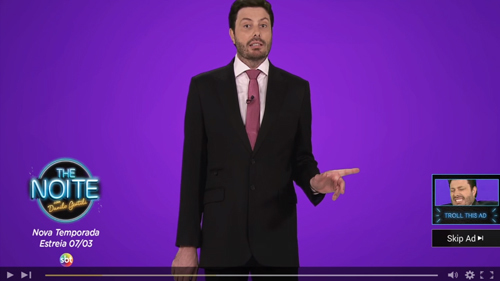 To promote the new season of The Noite (a show hosted by one of Brasil’s most popular comedian), Publicis Brasil came up with a new button on YouTube. For the first time they created a campaign where people could choose between a “Skip Ad” and “Troll this ad” button. This tweak to the YouTube pre-roll ads resulted in 4 times more video views for the campaign. McDonald’s in March launched a new campaign aimed to bring the world together by giving 24 gifts in 24 cities in 24 hours. 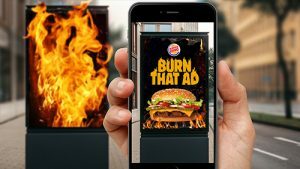 This unique experiential marketing campaign got over 40,000 #imlovinit mentions, which was 850 times more than the daily average. The campaign was also seen trending globally on Facebook and Twitter. More notably it was the first time McDonald’s hit the top ten worldwide conversation volume on Twitter. As seen in the above video, beachgoers in Rio de Janeiro got a unique surprise in the form of a slot machine. The slot machine contained a button that when pressed, gave the person a chance to win a McDonald’s treat. Then to win, the person had to perform a special task such as taking a selfie or performing a little dance. 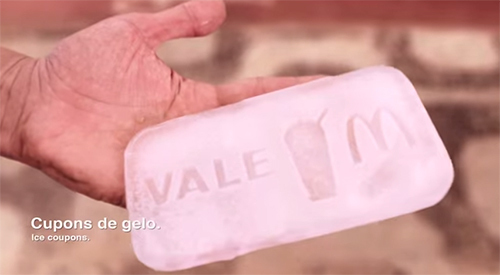 The winner got a redeemable ice coupon that needed to be rushed to the nearest McDonald’s store before it melted. Big Data is increasingly being used to find solutions to problems around the world. 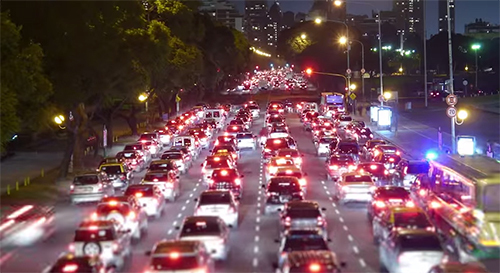 In this latest example, Microsoft has partnered with the Federal University of Minas Gerais, one of Brazil’s largest universities, to undertake research that helps predict traffic jams up to an hour in advance. With access to traffic data (including historical numbers where available), road cameras, Bing traffic maps, and drivers’ social networks, Microsoft and team are set to establish patterns that help foresee traffic jams 15 to 60 minutes before they happen. Microsoft has tested this model in London, Chicago, Los Angeles, and New York, and claims to have achieved a prediction accuracy of 80 percent. Quilmes with their agency +Castro reinvented the classic game of foosball. 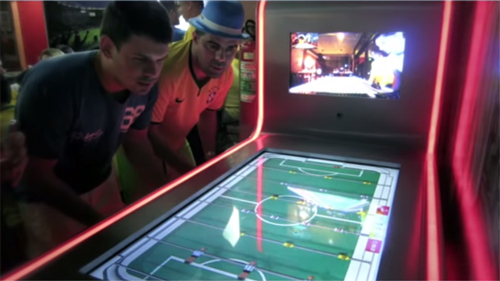 In its new version they enabled Argentinians and Brazilians to play each other in real-time through a custom made digital foosball table. Dubbed as “Mitigol”, one half of the table was placed in Argentina and the other half in Brazil. During the game, players could see their opponent via special in-built video cameras that further enhanced the real time experience of the game. As a prize, Quilmes gave away free beer.